Tension is rising among the top hierarchy of the Nigerian military as fears continue to spread of an imminent rebellion among the rank and file, The Punch has learnt. Correspondents who spoke to four senior officers, including a Major General, learnt that many of the soldiers, especially those at the warfront, had been showing signs of agitation over the inability of the military high command to provide them with weapons and adequate welfare. One of the officers said, “I can tell you without mincing words that many of us, officers, are afraid because the soldiers can revolt anytime from now. 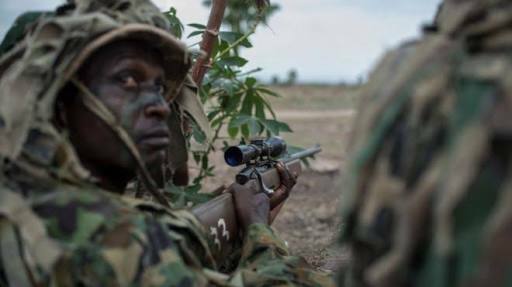 You will recall that some soldiers of the 21 Brigade in Sambisa Forest last year went on the rampage, revolting against their superiors. A major general told The Punch that apart from the lack of weapons, the military was losing the anti-insurgency war due to two principal reasons — strategy and lack of synergy among the service chiefs.